Do any of you have "a case of the Mondays"? If so, I'm thinking this little post will be just what the Dr. ordered! You see, my friends Alyssa and Carla have something very special for ya today! A giveaway to be specific- and a kitchen utensil giveaway at that! How cute are those babies anyway??? Gaw! SO cute! 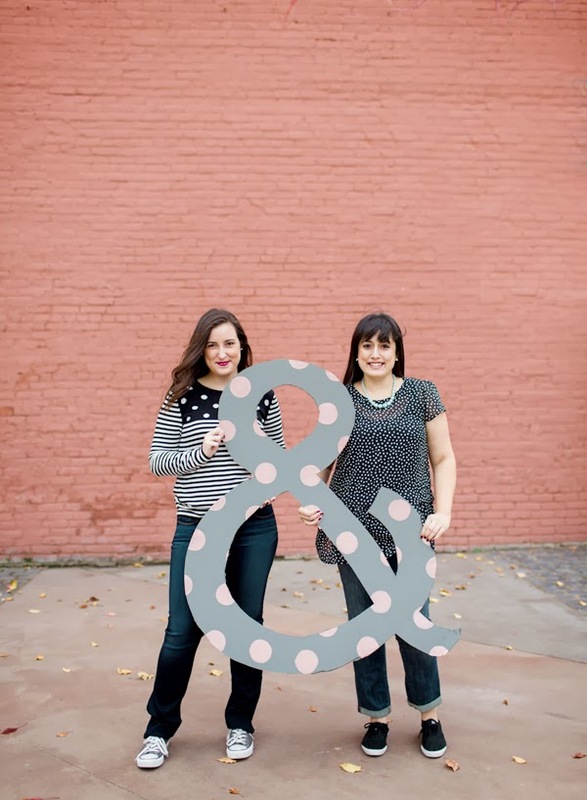 Alyssa and Carla have a blog and shop that are definitely worth spending some eyeball time on. I took one look at their DIY section and seriously lost track of time as I was pinning and oooogling all of their amazing ideas! On the top of my list: their handmade star wire ornament, sequined swizzle sticks, and their handmade custom kitchen towels! I see many homemade present ideas forming here, folks! So, if you don't mind, let's get to know these two creative cats a bit more and find out all about this giveaway! Hi! We're Alyssa and Carla! We became friends in San Francisco over tea, grilled cheese, work gossip and planning Alyssa’s wedding. We were cubicle neighbors at the corporate offices of a major American retailer until Alyssa moved to Tokyo. Our blog, Alyssa & Carla, started as a way to stay connected despite the distance, but we never imagined how much fun we would have with it and how many amazing people we would meet! We use A&C to share all of the delicious, creative and fun things that happen in our lives. Recipes and D.I.Y.s are our favorite topics, but don’t be surprised if you come across a cocktail or some entertaining ideas once in a while. The two of us have fairly diverse backgrounds and styles, so there’s almost guaranteed to be a recipe or idea on our site that will inspire you. Our blog recently expanded into an Etsy shop, where we sell handmade items designed to make you smile. 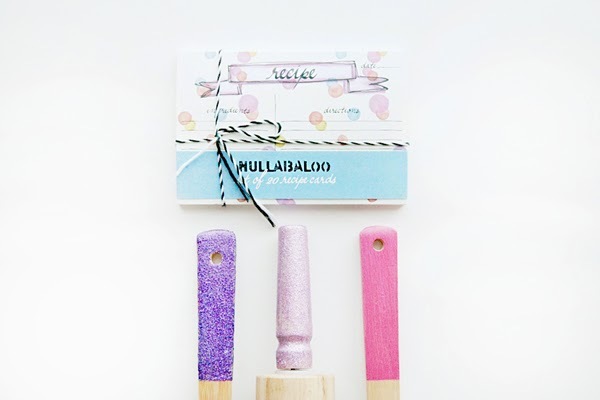 Glittery wooden spoons, polka-dot spatulas and sequined swizzle sticks are some of our most popular items. Here are some little tidbits about us! No contest here, both of us are going to have to say anything bubbly, especially Champagne or Prosecco! Alyssa: Our honeymoon in Chiang Main in Northern Thailand. We spent a day with elephants in the jungle, ate amazing food at lots of night markets, and had massages at the most magical spa. Alyssa: My Le Creuset cast iron braiser. Carla: A non-stick 6 qt stockpot. Somehow it's the perfect size and I make a lot of basic meals with it. And now for the super duper fun part! The giveaway! 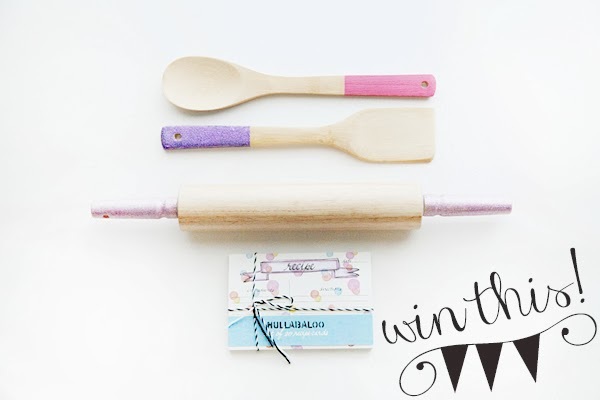 Alyssa and Carla have graciously decided to offer all Sweet Lavender Bake Shoppe readers a chance to win this amazing hand painted and hand glittered kitchen utensil set! Eeeeeep! It's the cutest set in all the land! Again, totally wishing I could enter this contest myself. Sheesh. Oh and that's not it! From now until February 2nd 2014, use code: SWEETLAVENDER upon checkin out for 10% off any item in their shop! Get on this guys! Great wedding, shower, and birthday present ideas, huh! Also, if you are interested in doing a giveaway as well or looking to advertise your blog and/or shop, head on over here and find out how to do so! And now until January 31st, make sure you enter code: LOVELYDEAL for 20% off ANY ad spot on Sweet Lavender Bake Shoppe! Wheeeeeee! Now for the small print: CONTEST OPEN TO US RESIDENTS ONLY. Contest will run for 7 days and will end on February 4th. Winner will be shown on this blog post upon being chosen AND will be contacted by Sweet Lavender Bake Shoppe via email. Winner has 24 hours to email back and claim prize before a new winner will be chosen. All prizes were graciously donated and shipped to winner by Alyssa and Carla. I love love the glittered bamboo cutting board! I love all the red and sky blue sets. Those were my wedding colors and a lot of the kitchen stuff I have are those colors too! Also, I'm pinning those swizzle sticks for next year's New Years Eve party. Nothing could be more perfect. <3 Great giveaway! I'm definitely loving the rolling pin with the sky blue handle. 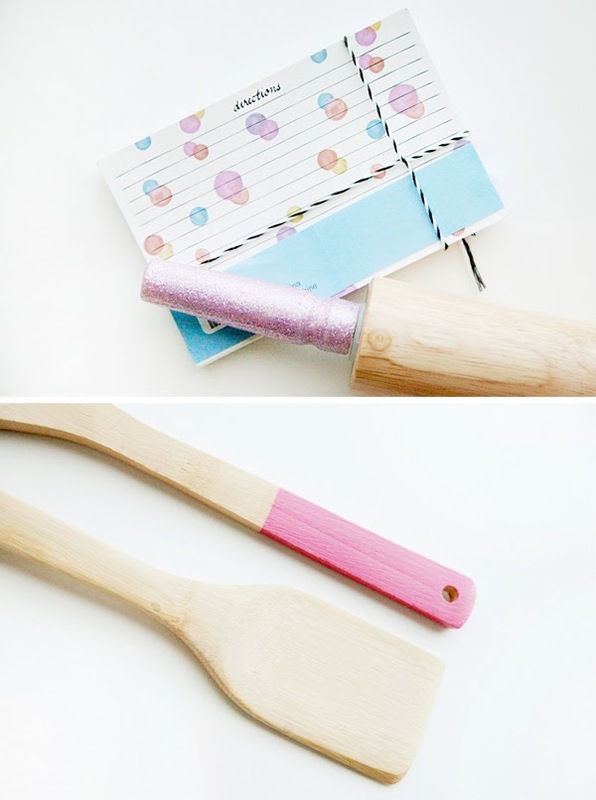 I need a new rolling pin, so it might as well be a super-cute one! Um, EVERYTHING. But especially the glittered cutting boards. The rolling pin is just so cute! I like the black hand glittered spatula . Excited to be a part of this giveaway! I live for fun kitchen utensils! What a fabulous giveaway!! I loooove the rolling pin with the sky blue handle! Every thing is so much better with a pop of color!!!!! This is such a cute shop! I love it all! I might need to pick up the Black Hand-Glittered Wooden Serving Board! I like Bronze Hand-Painted Wooden Serving Board. I love the Gold-Hand Glittered Wooden Spoon!